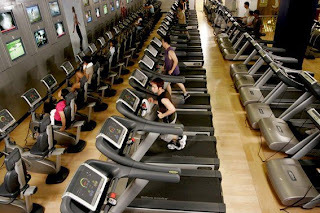 It seems to me that the life many people aspire to at the moment involves spending the working day in important meetings or at a computer or doing similar cerebral work, then in the morning or evening jogging or pumping iron at the gym to get that perfect body. These gyms seem bizarre places to me, I have walked past them in London full of folk pounding away like so many hamsters on wheels. 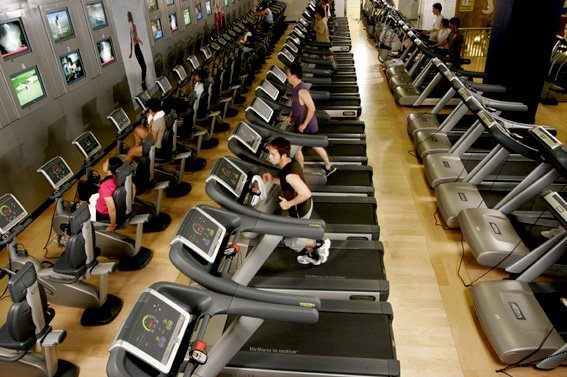 The bizarre thing is that all those machines are consuming electricity, I’d like to see a gym that generated electricity or better see those folk out carrying shopping for old ladies or some other useful physical activity. Besides that I struggle with the idea of pounding away just to get the current trendy body shape. I think far better to live a balanced life that involves a mix of cerebral and physical activity. At the moment I am converting my ex village police station into a holiday cottage, there is a lot of hard labouring work which a hard nosed business annalist would say I should pay a labourer £50 a day to do whilst I got on with more lucrative work. I earn an average of £80 a day so I can’t argue with the economics but there is something more important than economics to me. By doing the labouring myself I get a feeling of empowerment, and also a good workout which would cost my cerebral friends a hefty gym fee. Here I am starting to demolish the old wall separating the old garage from the police station office, I reckon you could charge for this it was such fun. Why is it that doing this stuff as part of the working day is looked down upon whilst paying to sweat in the gym is viewed as a good thing? This is all part of my philosophy of living a balanced life with work involving hand, head and heart.